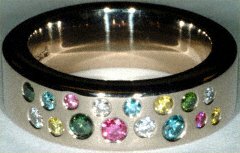 Our diamond set wedding rings are usually custom made to order. 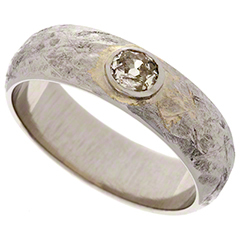 We can make them using different diamond shapes, in most styles of wedding rings. 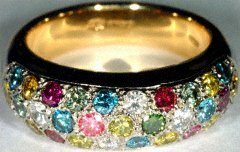 On this page we show some of the diamond set wedding bands we have made in platinum but please also see our Diamond Set Wedding Rings page and Mulit-Coloured Diamond Set Wedding Rings page for more ideas.